K. Laz Wine Collection was founded by Napa wine insider Kerrin Laz. Few have the insights and access to Napa wineries and Napa wines that she does. She grew up in Long Island in New York and while her family enjoyed wine they were not in the wine business. She studied journalism and political science at the University of North Carolina at Chapel Hill where she worked in several restaurants including at Crooks Corner (which she considers one of the pioneers of ‘southern’ style gourmet food) and where she was introduced to fine dining family style meals. She recalls her first day working there as a host was not a typical one – secret service agents came in and combed over the entire restaurant. Later that evening the distinguished guest who arrived was none other then former president Jimmy Carter. Kerrin would travel to Washington DC from time to time and during one trip she stopped inside the Dean & Deluca in Georgetown for coffee. She asked the manager if they were hiring and in fact they were looking for someone to work in either their food or wine department. Kerrin applied for a position and began working in their wine department. Ultimately they offered her a position in the Napa Valley (the Dean & Deluca in St. Helena) so she moved to the Napa Valley in 2006. 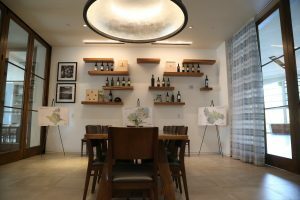 She had many roles during her time at Dean & Deluca – all relating to wine and ultimately oversaw the wine program for all their stores and then wine sales for off premise sales (Internet). 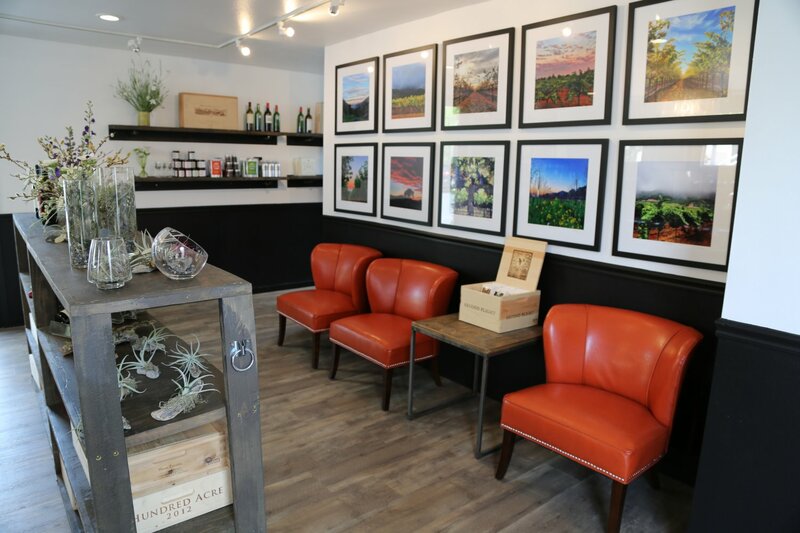 After proprietor Leslie Rudd (owner of Napa’s Rudd Winery) sold Dean & Deluca Kerrin branched out on her own and with Leslie’s support, opened her Yountville tasting room. 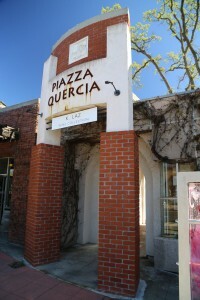 Kerrin provided valuable wine services to a number of clients for many years while at Dean & Deluca and they were some of her initial clients here. 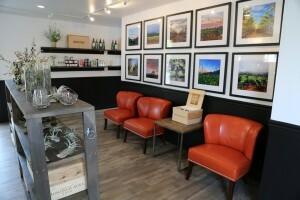 The focus of the tasting room is offering wines from boutique premium mostly Napa and Sonoma producers. 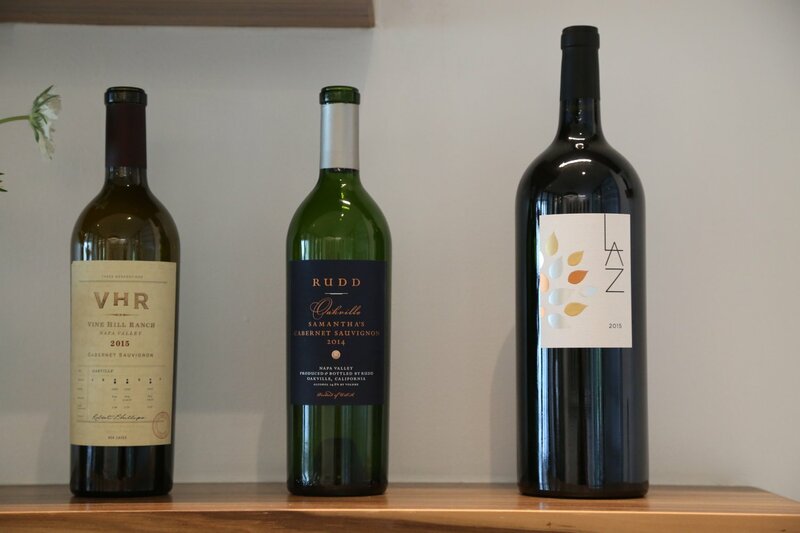 The K. Laz Collection fills a important niche for both the wineries (gives them a retail outlet) and allows consumers to try them who otherwise would never have known about these wines. The wines represented are typically from small family owned producers – most of whom do not have tasting rooms. 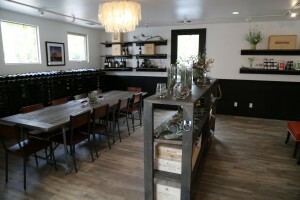 A very unique component for a Napa Valley tasting room is the ability to try rare and difficult to obtain wines from wineries that do not see visitors for tastings. 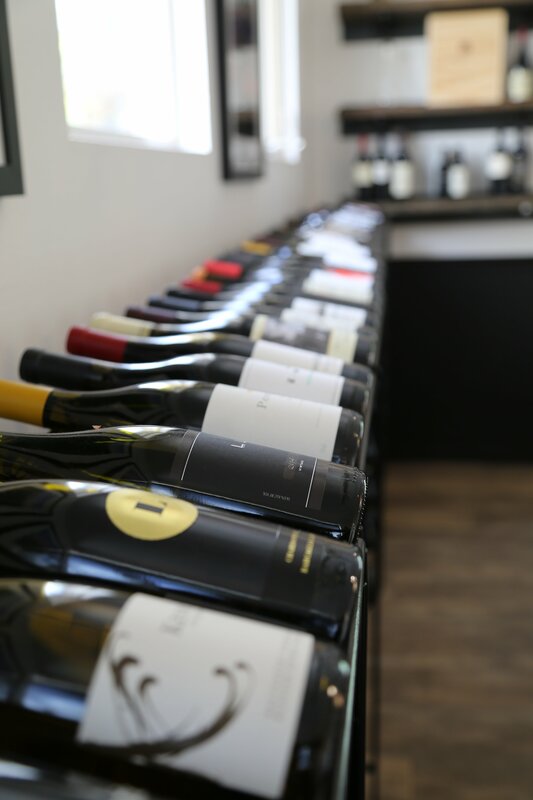 Typically these are wineries who sell most of their wine through exclusive mailing lists with a select few even maintaining waiting lists to join the mailing lists for an opportunity to buy the wines. Relationships in the wine business are extremely important. Kerrin has built many strong personal relationships with area wineries over the years. 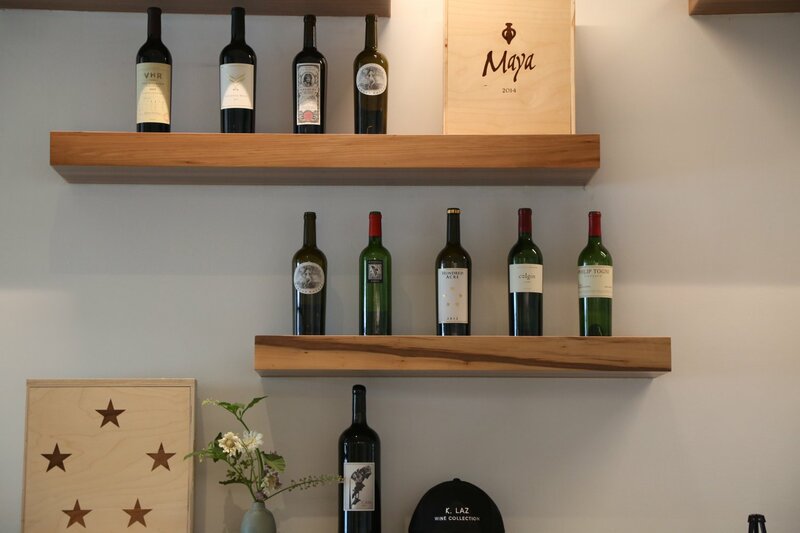 She keeps a diversity of wine in stock and varies both the producers represented and the varietals poured on an ongoing basis. 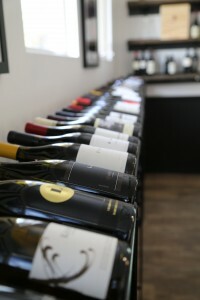 As a result, repeat visitors have opportunities to taste other wines that they wouldn’t have necessarily tasted during prior visits. 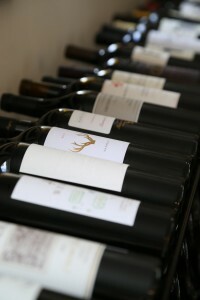 Wines represented are from long time vintners in the valley but also from new producers. 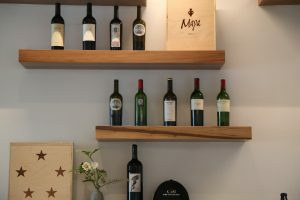 And with such selection of wines they are able to also tailor (when asked for) the tasting experience to the customer’s own palate and or varietal preferences. At the time of our visit four tasting options are offered. 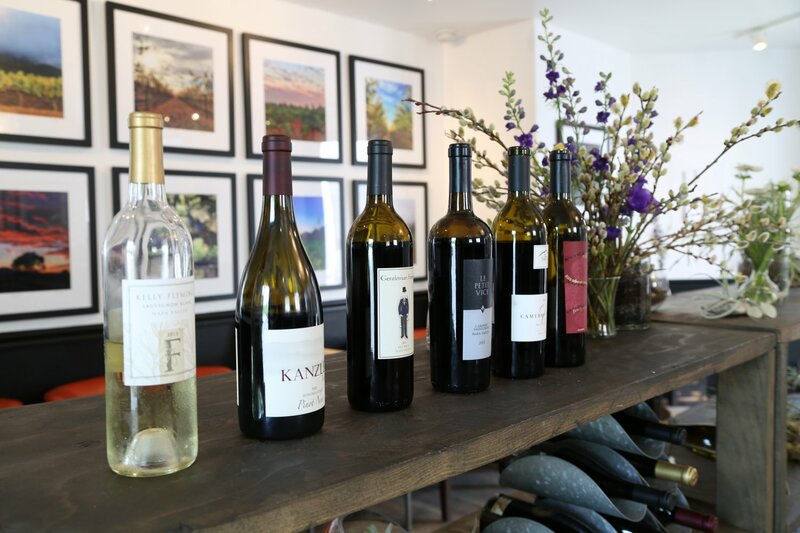 The Taster features wines that over deliver for the price point, the Artisan, features higher end wines and the Cult showcases some of Napa’s most exclusive and sought after wines. However for collectors and serious wine enthusiasts there is even another level of tasting. 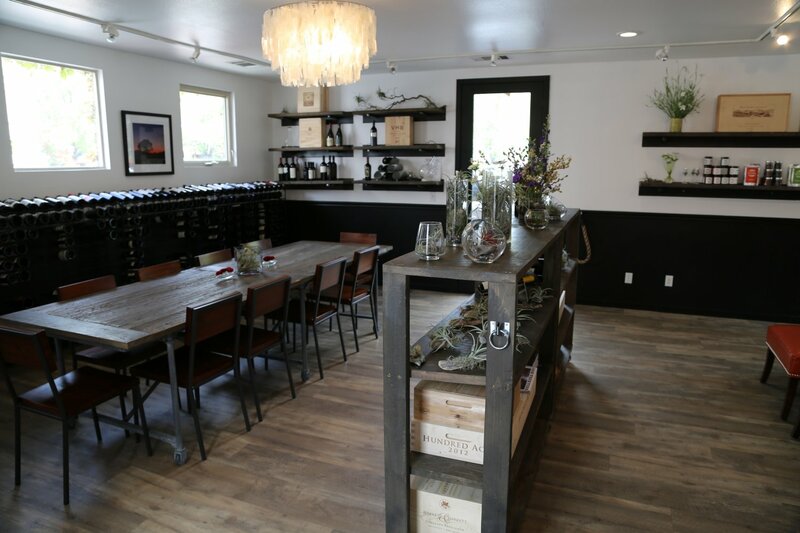 This is the Centurion which features the flagship wines of several extremely exclusive wineries including Screaming Eagle as well as some harder to find older vintages from these producers. 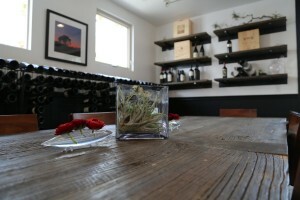 All tastings are private for your party. Kerrin is also a prolific vineyard photographer (follow her Instagram here) and has printed and framed a number of her photographs of the Napa Valley – available in limited prints. Remarkably these were all taken with the iPhone but some have that special Instagram flair. These are available for sale in the tasting room. 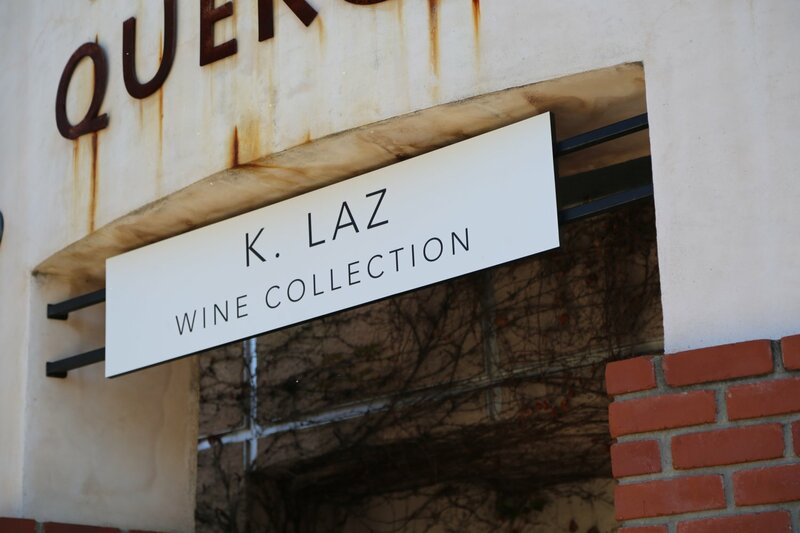 And not one to rest and perhaps not unexpected, Kerrin operates her own wine brand – appropriately called Laz. 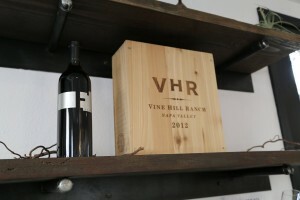 The first release was a 2014 Cabernet Sauvignon from vineyards her winemaker Celia Welch has been sourcing fruit from for years, including from Oakville, Pritchard Hill and Rutherford. We have spotted vintages of this wine at V Wine Cellars (also in Yountville). The floral arrangements are provided by local florist, Seth Chapin of Evermore Flowers. 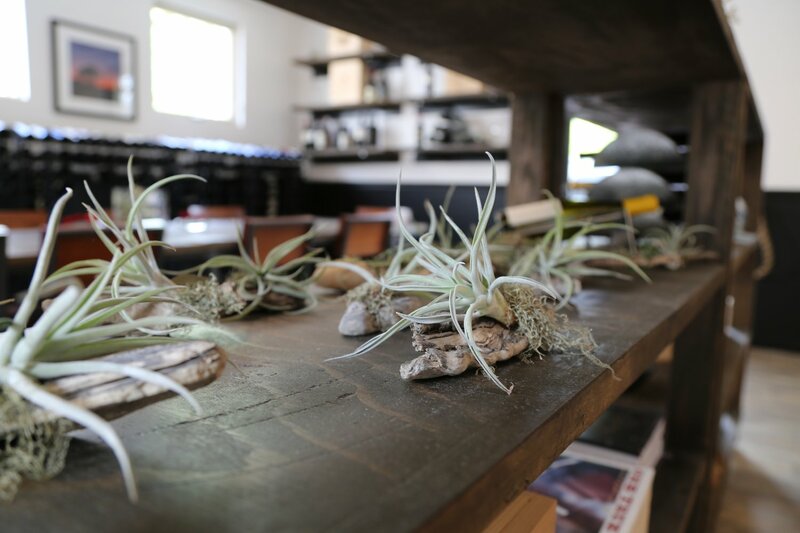 These add a nice visual component to the tasting room and include a number of air plants, fresh cut flowers (when in season) and tiny terrariums. All are for sale. And did someone mention beer? A keg of beer from local vintner and brewer Nils Zacherle will be available for tasting. Nils is proprietor of Mad Fritz Brewing, based in St. Helena. He is creating some interesting brews including growing a malting barley on a vineyard property just south of Calistoga. After you have enjoyed a number of fine wines – sit back with this locally hand crafted brew. 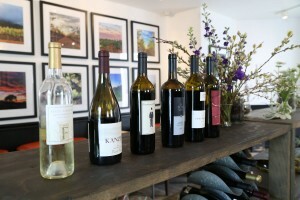 A couple standouts from our recent tasting was the 2013 Kelly Fleming Sauvignon Blanc (predominantly a Sauvignon Musqué with a tiny percentage of a Sauvignon Blanc clone), the 2013 Vice Versa Le Petit Vice (extremely good price to quality ratio) and an always favorite producer, Switchback Ridge (the 2012 Cabernet Sauvignon). 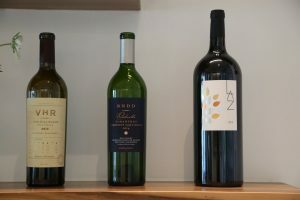 There are several K. Laz Wine Clubs you can join – which mirror the names of their tastings and the types and prices of wines offered in each of those tastings. Clients can choose shipments either 2x or 4x per year. 2018 was a productive year for Kerrin. 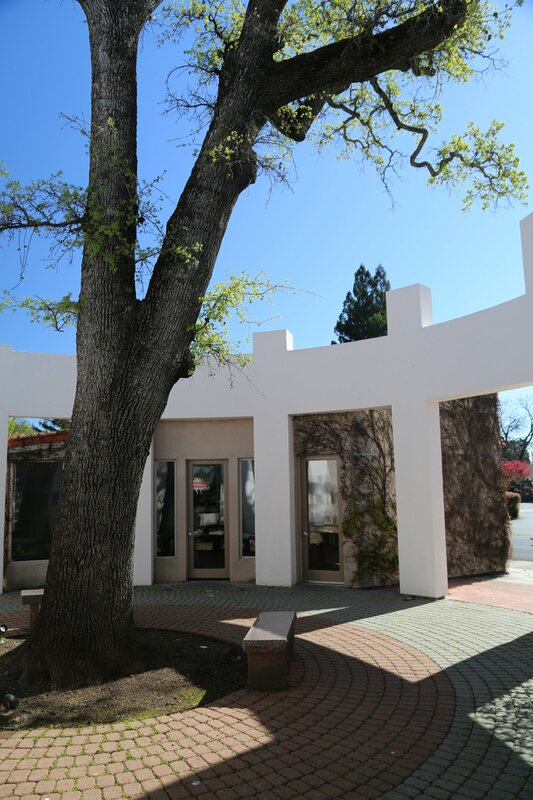 She founded Inspire Napa Valley, a charitable organization that raises awareness and funds for Alzheimer research. 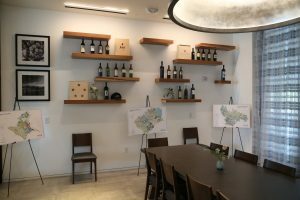 Their inaugural event was held in a series of locations around the valley in May 2018 including an exclusive dinner at Abreu Vineyards (Las Posadas Vineyard) on Howell Mountain. Inspire Napa Valley raised over 1 million dollars supporting the Alzheimer Association. 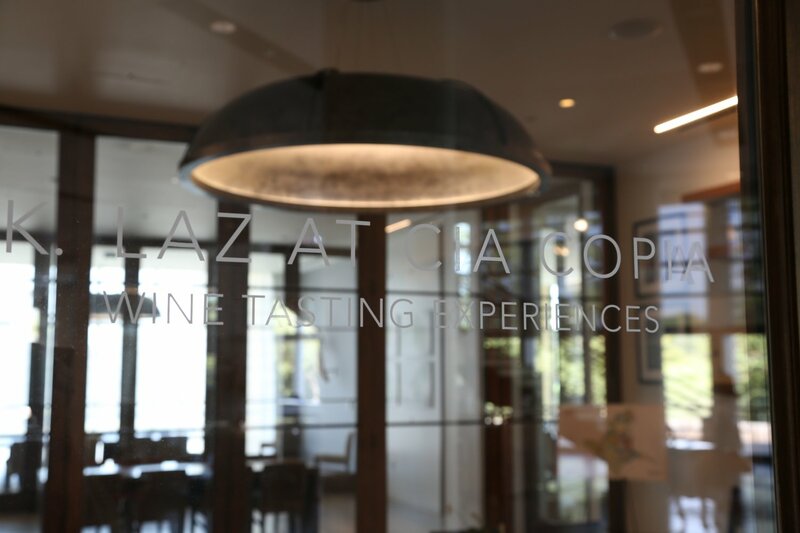 And in July of 2018 Kerrin opened the K. Laz Wine Wine Tasting Experiences Room at CIA Copia, located in the Oxbow District of the city of Napa. 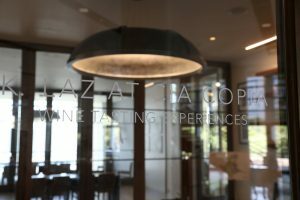 This private room is exclusively reserved for K. Laz tastings (the same caliber of tastings as offered in her Yountville space – although an added dimension here are the pairings by the CIA’s executive chef). Expect to spend 90 minutes for a tasting here – all tastings are by appointment. 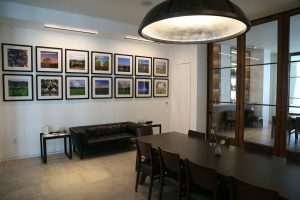 And like in the Yountville space, Kerrin’s Instagram worthy photographs are displayed and are for sale. Excellent maps produced by Antonio Galloni’s Vinous are displayed and help complement the tastings.